Ready, Set, Dive. 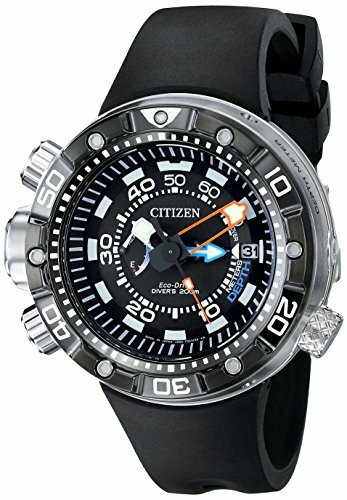 CITIZEN Promaster Aqualand 200 Depth Meter watch with 70M depth display, ISO complaint, 8h pusher maximum depth and 10h pusher reset, power reserve indicator and auto start dive mode you won't want anything else when headed to the ocean. Stainless steel case compliment the black polyurethane strap and black dial.